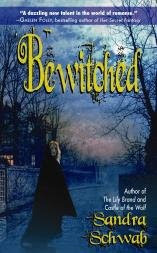 This week, we welcome long-time contributor Sandra Schwab as she celebrates the release of her third Dorchester novel, Bewitched, which has already been garnering lovely reviews and accolades. Good for you, Sandy! After a magical mishap that has turned her uncle's house blue, Miss Amelia Bourne is stripped of her powers and sent to London in order to be introduced into polite society—and to find a suitable husband. Handsome, rakish Sebastian "Fox" Stapleton is all that and more. He is her true love. Or isn't he? At Rawdon Park, the country estate of the Stapletons, Amy begins to wonder. Several inexplicable events suggest that one sip of bitter punch has changed her life forever—that this love, this lust, is nothing but an illusion. She and Fox are pawns in some mysterious game, and black magic has followed them out of Town. Without her powers, will she be strong enough to battle those dark forces and win? And will she be able to claim her heart's true desire? Magic potion or no, what she feels for Fox is a spell that can never be broken. How do you turn your uncle's house blue? Well, it was meant to be an exciting, cost-effective way to redecorate your room (an ingenious idea really!) --unfortunately, the spell got a little out of hand, so in the end the whole of the house was covered in cobalt blue instead of just Amy's room. Accidents happen, you know. What else is unusual about Bewitched? The setting! The story starts in Warwickshire, before it moves on to Regency London and then to the Fens. The Fen District is an extremely flat expanse of marshes in the east of England, where the sound of water is never far away. Extensive drainage measures started in the 17th century, and by the beginning of the 19th century many great and small drainage canals and windmills were already in place. Due to the flatness of the land, the sky seems enormous--which can feel rather oppressive, especially for a man about town like Fox. I thought the unusual landscape of the Fens perfect not only for heightening the mysterious, darkening atmosphere of Bewitched, but also for reflecting my hero's problems with this family and his feeling of not belonging. What sparks your creativity? What was your inspiration for Bewitched? *laughs* Nobody is going to believe this because you really can't tell when you read the novel: in parts it was inspired by Dorothy Dunnett's Lymond Chronicles. (See? I told you you're not going to believe me!) Whenever a book enthralls me like Dunnett's did, I start to expand/rewrite the story in my mind as a sort of bedtime story for myself. The grain of Bewitched was such a bedtime story based on the Lymond Chronicles. While I'm writing I often listen to music to keep me in the flow of the story. For my 30th birthday one of my friends gave me a CD with film music by Rachel Portman, and this eventually became the soundtrack for Bewitched--apart from the climactic confrontation with the villains, that is. 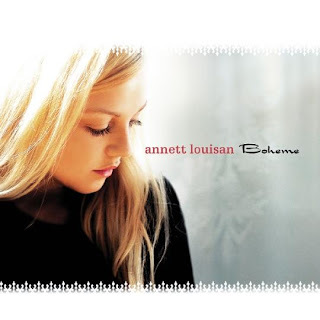 The music for this particular scene was "Bittersweet Symphony" by The Verve (from the soundtrack of Cruel Intentions) and, alternatively, "Das Liebeslied" from Annett Louisan's debut album Bohème. What did you like most about researching Bewitched? Researching the history of Albany, the "seventh heaven of bachelorhood" on Piccadilly, where Fox has a set of rooms. Albany used to be the town house of Lord Melbourne, before he switched houses with the Duke of York and Albany. But as the good duke ran into enormous debts, he eventually had to sell the house and it was converted into one of the first apartment houses in London. And yes, they had water closets even back in the Regency era! Furthermore I discovered the wonders of Google Maps while I was writing Bewitched. Here's the bird's eye view of Blickling Hall, on which I based the country estate of Fox's brother. Isn't it amazing? You almost seem to stand in the middle of the forecourt! What about the book-in-the-book? How did that come about? Oh, The Horrible Histories of the Rhine, the shilling romance which Amy is reading. That was my secret weapon against writer's block: whenever I got stuck in the story proper, I started working on another snippet from The Horrible Histories. And why was this so effective and wonderfully entertaining? Because the brave knights and hapless maidens are, in fact, my colleagues from university. *ggg* For example, the beautiful Alexandie, who is kidnapped by the awful Green Man in The Horrible Histories, is in real life Alexandra, whose PhD project deals with the motif of the Green Man in literature. Furthermore, my writer friend Carolyn Jewel by special request makes a guest appearance as the Wicked Sorceress Jewellyn, who bonks her wand on poor Maid Maiken's head. What is your favourite scene from Bewitched? My PhD project. But it's fun! It's about slaying dragons! (The direct quotations for The Horrible Histories are actually taken from a book I discuss in my dissertation.) Apart from that I'm currently expanding my podcast novella "Betrayal" into a novel. Of course it's going to be an unusual historical once again! Read an excerpt of Bewitched. Find out all about the trials and tribulations of writing Bewitched! To win a signed copy of Bewitched, leave a comment or question. The winner will be chosen at random next Sunday. Be sure to check back next week to find out who has won!